PLASTIC RETZUOS STILL OUT THERE! I have recently come across 2 cases of those plastic retzuos which were first discovered about two and a half years ago. This is the type that has the thick plastic (not paint veneer) heat pressed onto poor quality leather that easily tears once it is separated from the plastic. One was from a pair of tefillin purchased in NY , the other, from Israel. Both sets were a few years old and could have easily come from those fraudulent batches being sold a few years ago. My theory is that some of them began splitting right away or within a short amount of time, so people changed them. Some people may also have tested them when the fuss was being made once the fraud was discovered, and changed them then. But in all likelihood, many did not, and if the two parts are still bonded together (some may have been manufactured better than others) then people would be unaware that anything is wrong. The common pask on those retzuos were that they were possul. I'm wondering if anyone else is still seeing them and if sofrim in general keep an eye out for them when people bring tefillin in for checking. 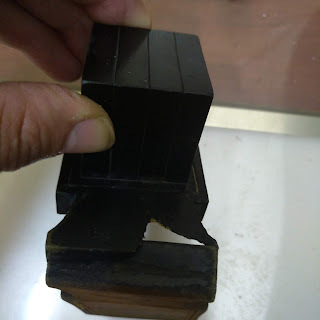 Now that it has been a few years, these will start coming in for routine checking, and if they are still out there and have not been replaced, it is incumbent upon the sofrim checking tefillin to keep an eye out for them. If they look suspicious, they should be tested immediately. On my recent trip to the states I saw a pair with the plastic retzuos. The tefillin were purchased in Israel just a few years ago. Many, particularly the less observant and likely many in the modern orthodox community, who received such retzuos are likely not aware of an issue and will only become aware if and when they go to a sofer with their tefillin. But are the sofrim looking for them and testing them? Has it become part of a standard tefillin check? Do they know what to look for? Is this old stock or are they still making them? If so, who is making them and who is selling them? I would like to comment on "The common pask on those retzuos were that they were possul." To the best of my knowledge there are no retzuos that plastic was glued onto leather. there was alot of talk but I have not seen any proof that it was not thick paint. 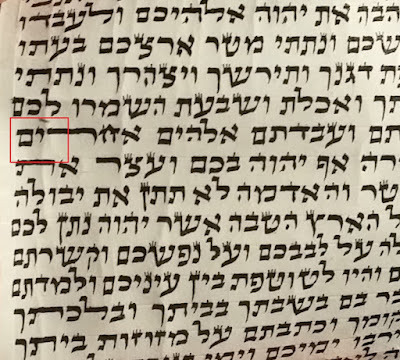 Interesting is that the only Beis Din that followed up on the scandal was a Sfard Beis Din and the psak was: "Although we cannot pasken that the retzuos were made in a posul manner<the manufacturer was not able to proove that the retzuos were made lishma with supervision of any rabbi or mashgiach"
I see this as siyata dishmaya for klal yisroel- Aguy just ordered retzuos from a factory in turkey or china -anywhere that rtzuos are made and didnt send a staff to make them lishma/something we would never know.SIYATA DISHMAYA_THEY START PEELING. for those of you that are lomdim- retzuos that can peel is a siman its posul not a siba. Reb Shmuel, this was not the case. That's what they were saying at the time...it was definitely a thick synthetic layer. Paint is thin and stretchy. 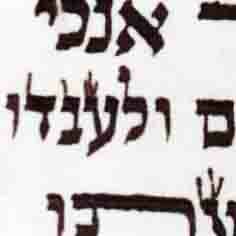 Just about all machine retzuos are made without any hashgacha so you are relying on the maker that they're kosher. We wouldn't eat anything made in such a factory so why would we put the mitzvah and brachos of tefillin at risk daily and as sellers, put the tefillin of many at risk daily? Rav Friedlander held not to deal with any retzuos without a hechsher. By following this policy and being careful to use retzuos with hechsher from well known poskim who're experts in this field (and doing due dilligence before considering retzuos offered to you at an attractive price) is the best way to minimize the risks of using/selling questionable retzuos.